MS150 Penn Squad for the win! 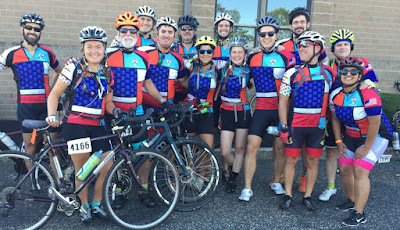 Led by Clyde Markowitz, the University of Pennsylvania fielded a strong team in this year's MS150 city-to-shore bike ride. Sponsored by the National Multiple Sclerosis society, this event raises funds for MS research. A collection of current and former Penn Neurology Residency trainees took part, along with faculty and staff from the department. 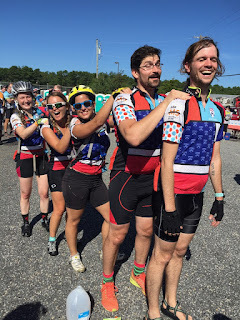 In addition to the pride of accomplishment and great camaraderie, the team also takes home those sweet Penn-themed riding tops. Congratulations!